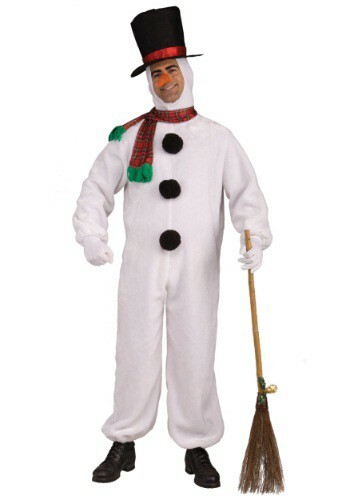 This costume is adult-sized, appropriate for a sidekick for a Santa Claus (Why can’t a snow-brother get top billing? When you’re in charge, there’s no one to say he can’t! ), going all-out for Christmas party, or the world’s biggest (adult) Rankin/Bass fan to don at home while they queue up ABC Family’s annual marathon. We might go Heat Miser ourselves, but to each their own!